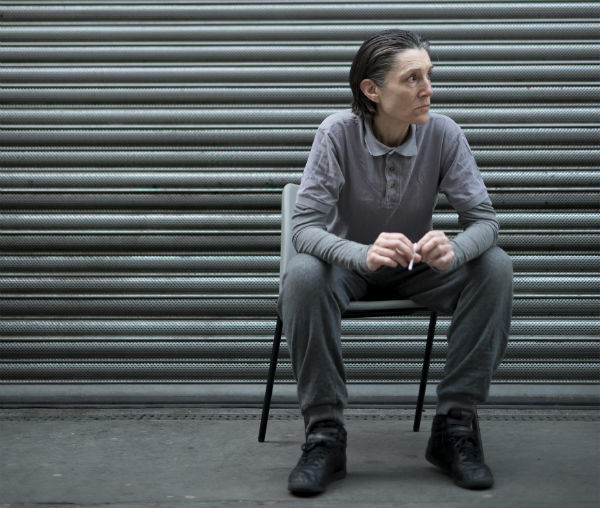 Now director Lloyd is reuniting with star Harriet Walter in another “women’s Shakespeare”, Walter taking the titular role in Henry IV (a distillation of parts 1 and 2 in a single evening). Like Julius Caesar, the action is set in a women’s prison. And the Donmar – led by two formidable women in Rourke and executive director Kate Pakenham – Lloyd and Walter aren’t stopping there. Rourke announced today that Henry IV is just the second in a trilogy of such Shakespeares mounted by Lloyd and Walter at the Donmar. The third trilogy choice hasn’t yet been decided, though it’s unlikely to be the next in the Henry history plays. What’s the motivation to continue? The press release notes how, in one of the school workshops mounted around Julius Caesar, teachers were astounded when they heard one of their girl students – empowered by what she’d seen onstage – speak in public for the first time. The artists couldn’t let it end there. Speaking at the Donmar’s new fully-owned offices, rehearsal and education space in Dryden Street, Covent Garden, a few streets away from their 250-seat Earlham Street theatre base, Josie Rourke maintains that the question of “who owns Shakespeare?” is an important one. Lloyd’s trilogy, she says, explores not just issues around gender, but also around class and diversity – thus, opening up these classics to a much broader, younger, modern audience. Where single-gender Shakespeares are concerned, we’re more accustomed to seeing original practices style, all-male offerings, thanks to Propeller, Mark Rylance and the award-laden Broadway-exported Globe productions that dominate this year’s Tony Awards nominations. But, while comparatively few and far between, female takes on the bard are not new. Famously, Fiona Shaw (directed by Deborah Shaw) tackled Richard II at the National Theatre in 1995, and Vanessa Redgrave played Prospero at the Globe in 2000 (followed by Helen Mirren onscreen in 2010). At the other end of the scale are fringe companies like Lazarus Theatre, whose reimagining of Troilus and Cressida hits the Tristan Bates Theatre in August. With Lloyd’s continuing focus in this area, let’s hope the female phenomenon will gather even more pace. Henry IV will run at the Donmar from 9 October (previews from 3 October) to 29 November 2014, with Walter joined in the cast by Jade Anouka as Hotspur, Clare Dunne as prince Hal and Ashley McGuire (in a fatsuit?) as Falstaff. Elsewhere in the Donmar’s season, Rourke herself will direct 1940s Hollywood-set film noir homage musical City of Angels (which in fact had its Broadway premiere in 1989), with Samantha Barks joining real-life fiancées Rosalie Craig and Hadley Fraser in the cast and Stephen Mear choreographing. Touching again on feminine matters, Rourke asserts: “People haven’t written this wittily for women since that era” of Girl Fridays and sassy dames. The City of Angels poster is highly evocative of the period, with the flame-haired Craig channeling Rita Hayworth from Gilda. “Put the blame on Mame” if the alternative Christmas musical isn’t a hit – though, I feel confident it will be. It runs from 16 December 2014 (previews from 5 December) to 7 February 2015. The third new production in the autumn season is the 20th anniversary revival of Kevin Elyot’s seminal “gay play” My Night with Reg, which will star Julian Ovenden (whose previous Donmar credits include Merrily We Roll Along – when Rourke was an assistant director at the venue under Sam Mendes – and Grand Hotel), along with Geoffrey Streatfeild, Matt Bardock, Jonathan Broadbent, Richard Cant and Lewis Reeves. The production, directed by Donmar assistant director Robert Hastie, runs 5 August (previews from 31 July) to 27 September.